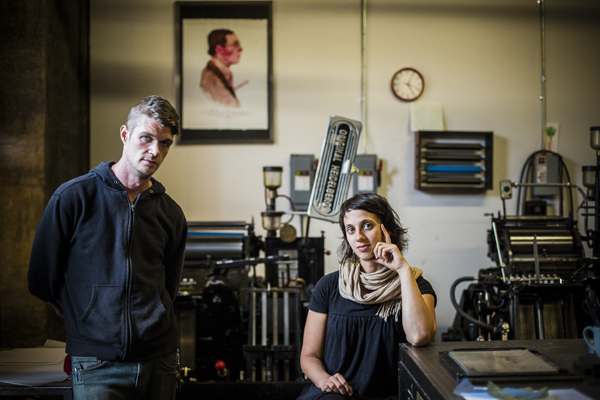 Cutting Edge With Keeganmeegan & Co.
Katy Meegan and Keegan Wenkman of Keeganmeegan & Co. have grown a small idea into a large community-empowered printshop over the past six years. 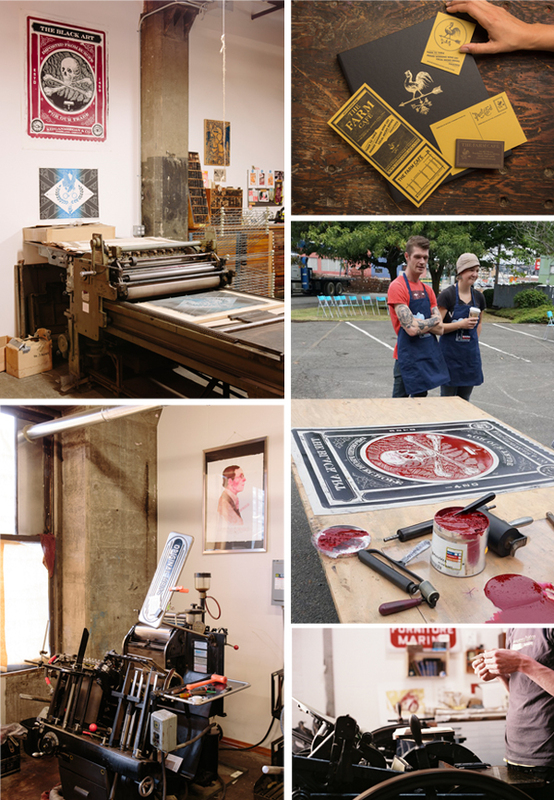 The power printing duo houses a love for the yesteryear production model, the smooth whirl of Vandercook, and the inspiring Portland, Oregon resident support . 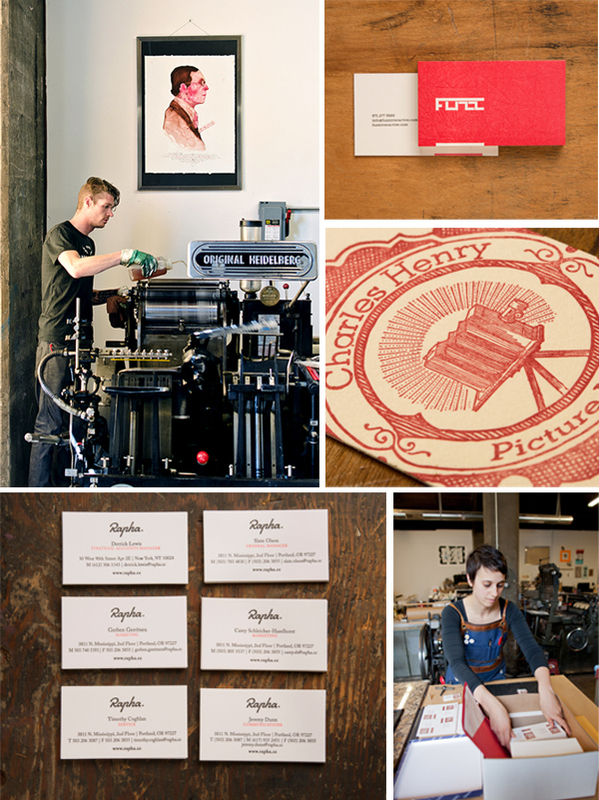 To find out how the vibrant printshop ticks, we rode shotgun with Keegan and it’s been one amazing adventure. 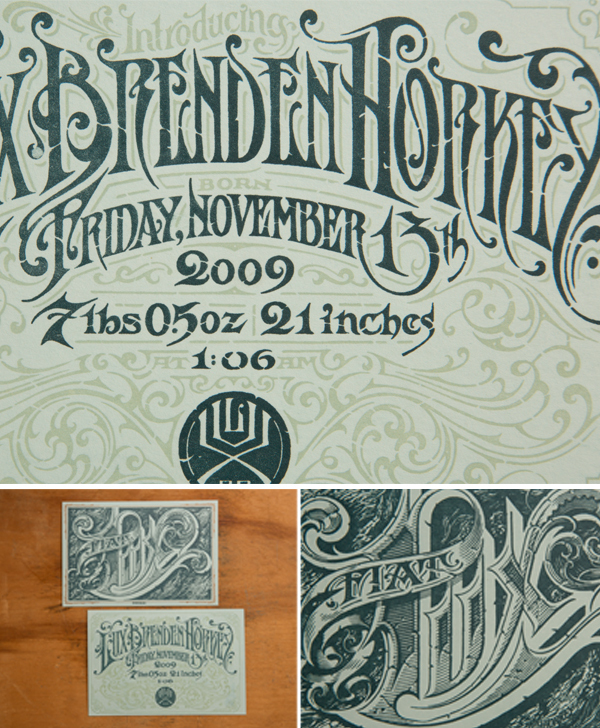 LETTERPRESS BEGINNINGS Keeganmeegan & Co. was founded in 2007. 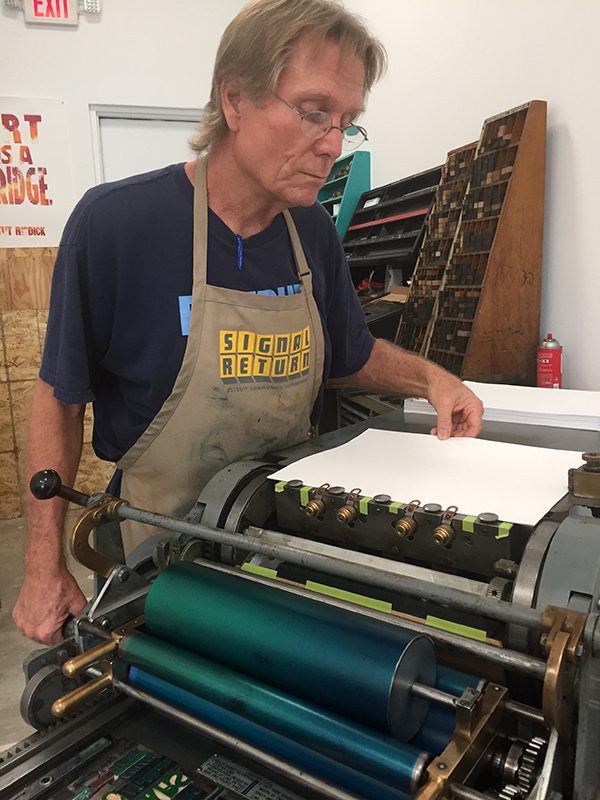 Known for hand-illustrated relief printing, Keeganmeegan has also been recognized for award-winning design and print & packaging solutions for local and global clients. We live and work in Portland after moving out west from Minneapolis in 2005. 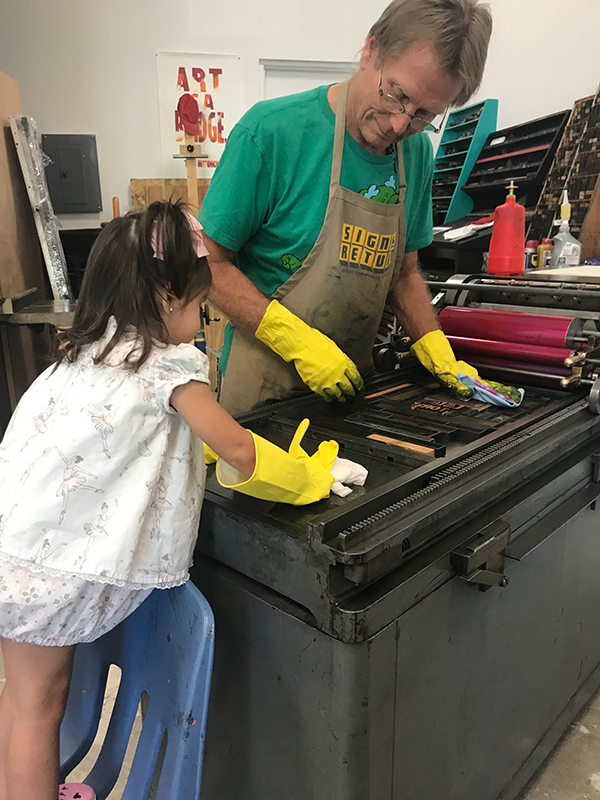 Both of us have been printing since our teens — Katy doing Book Arts at MCBA and I did silkscreen most notably at Burlesque Of North America. 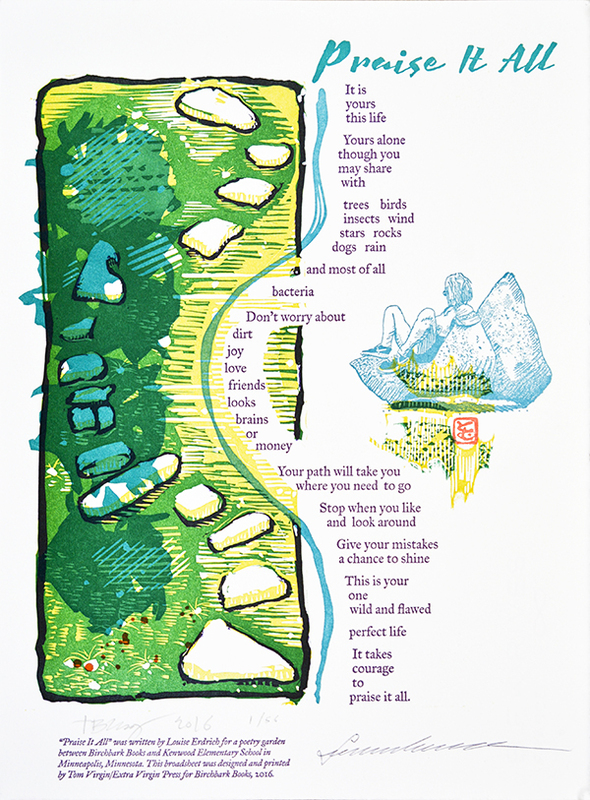 Art brought us to print, in order to duplicate our art and be an assistance in our artistic community. 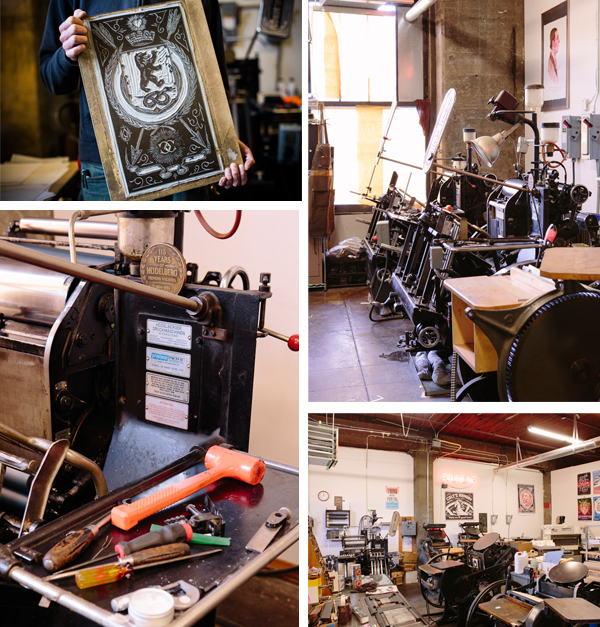 We’ve had the shop for 8 years now, and focus on commercial and artistic editions modeled from the job printing shop of yesteryear. 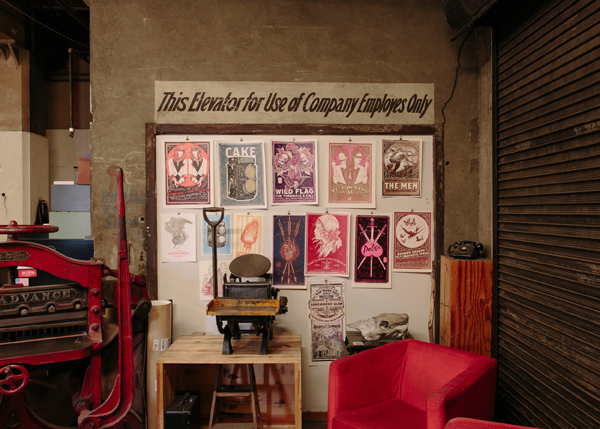 We unite illustration and design with printing and die-cutting services all in house. FOR THE LOVE OF LETTERPRESS Katy worked at MCBA and one day she casually showed me their shop. That was it for me. 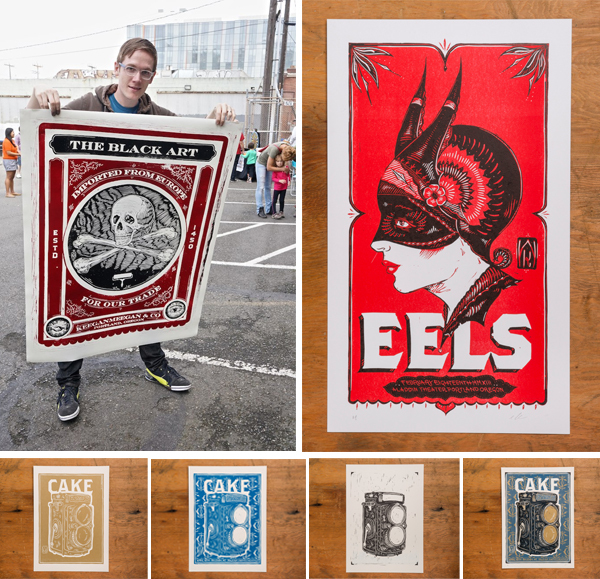 BUSY IN THE BEAVER STATE We have a 2,500 square foot shop in SE Portland next to the iconic Burnside Bridge. It’s on the ground floor near the Towne Building and was formerly the warehouse for Blake, Moffitt & Towne Paper Company based out of San Francisco. 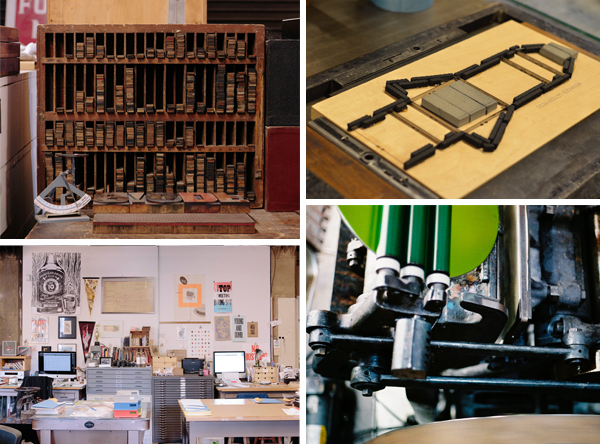 We still have the original payroll safe in the shop and we’re coveting seven Vandercook cylinder presses primarily used for art editioning services and experimental projects. 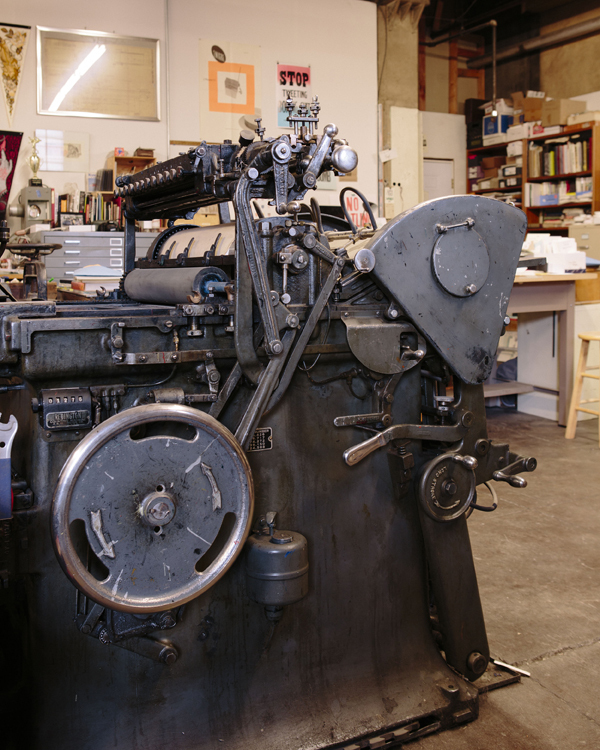 The rare 232p, in particular, has one largest print areas of any Vandercook, an absolutely massive 32½ -inch by 30-inch. We also employ 2 Heidelberg windmills and 4 Chandler & Price printing presses for job printing. 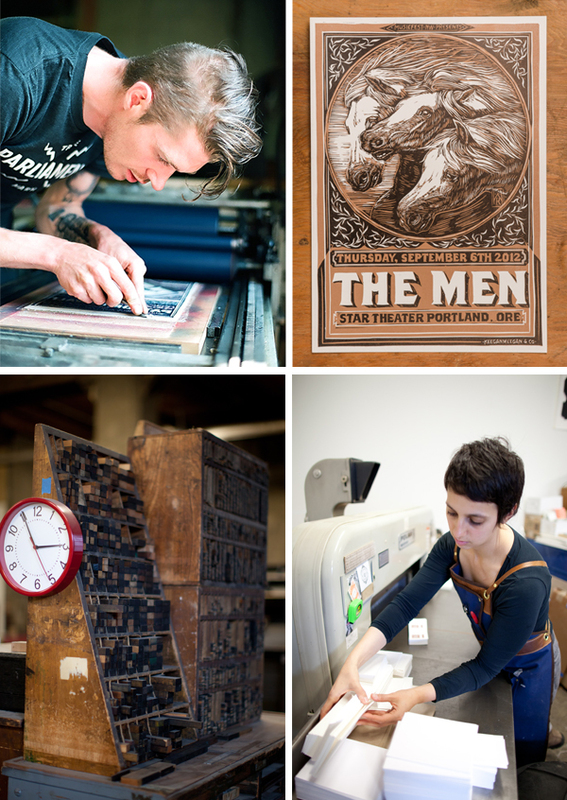 PRINTING MENTORS Stumptown Printers mentored us early on, giving us business advice and direction. Midnight Paper Sales was a big inspiration. 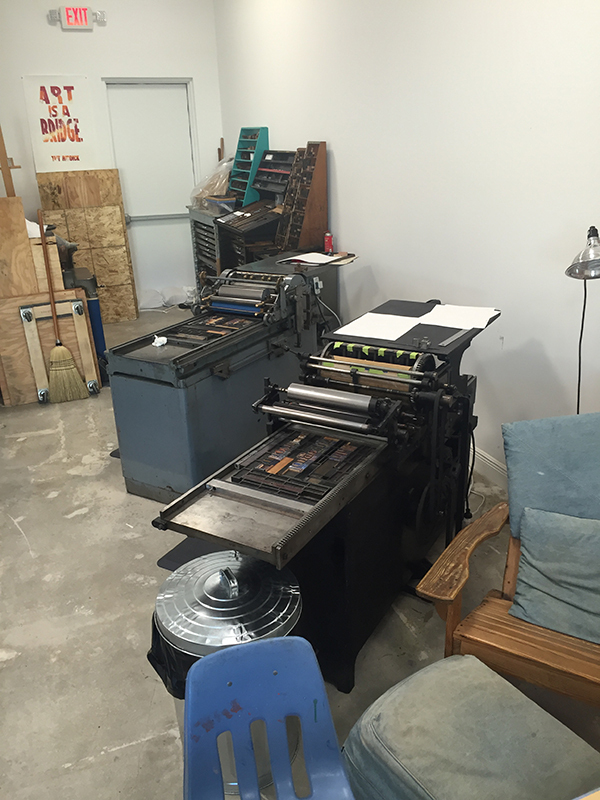 Also the crew of CC Stern Type Foundry helped with our shop up-keep. 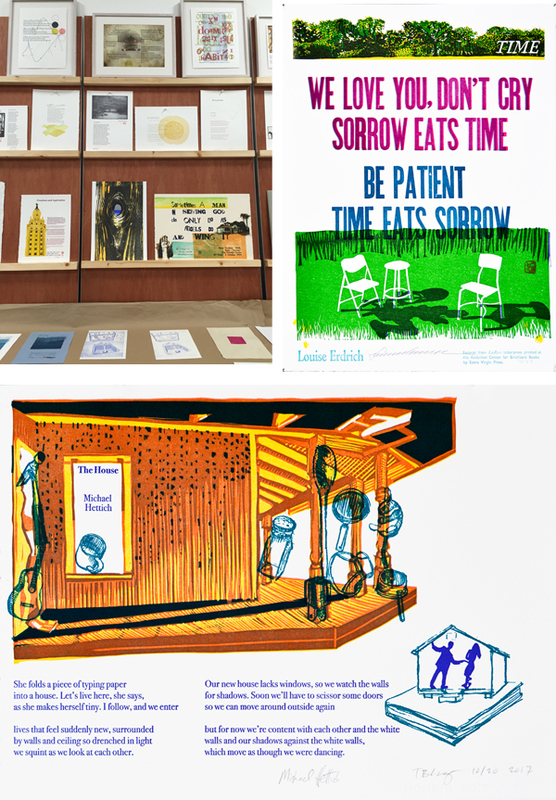 DESIGN + PRINT We are illustrators, designers, print makers, commercial and artistic printers, we are fun loving idiots for art, problem solving, and perfection. THE CREATIVE PROCESS Old books, pen and paper. If I go online for inspiration I just spin my wheels. I do what people did before computers: think for themselves. FULL TIME FUN We have supported ourselves for 8 years, each receiving a salary as 50/50 ownership. 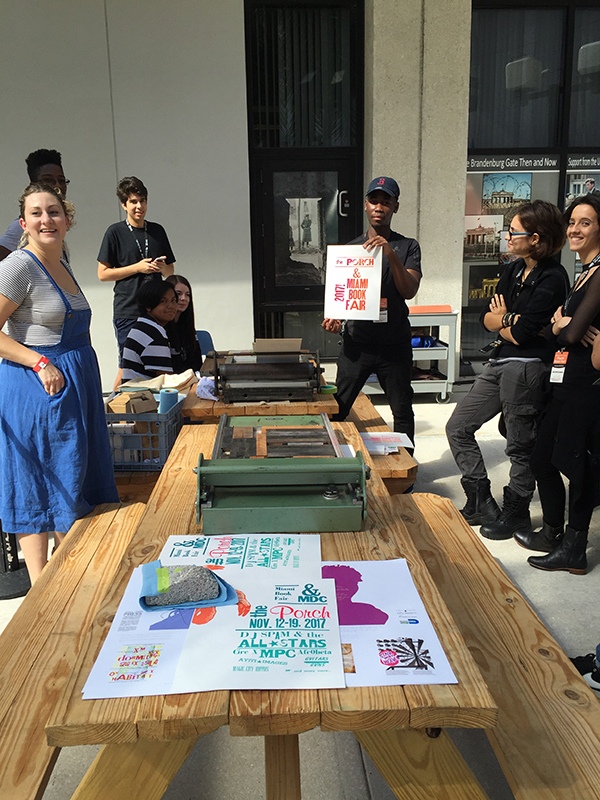 PRINTING FEATS We’ve grown a small idea into a large success thus far, through hard work and being kind to people. Hence, our clients are absolutely lovely being that they are makers and thinkers alike. They make us laugh, bring us gifts, and have allowed us to keep this going strong and grow more each year. Additionally, we’ve been able to work with a lot of artists, touring bands, comedians, and people on the forefront of our current culture. BOXCAR’S ROLE Boxcar Press makes the biggest poly plates available that I know of. You’ve allowed us to completely max out our Uni III / with 2 13×18 Boxcar based butted up together (take a look). PRINTING TIPS Ask the right questions to the right people and you can get yourself far in life. It helps to fail a lot too. Otherwise, people always ask me how I cut my linoleum blocks, my answer is black magic and podcasts. Podcasts are a lone printer’s best friend. WHAT’S NEXT We will just keep going, every day is a new day with new problems to solve and chances to learn. We will also go on vacation, gotta love vacation. We didn’t take one for the first 3 years. Huge round of thanks out to Keegan over at Keeganmeegan & Co.! 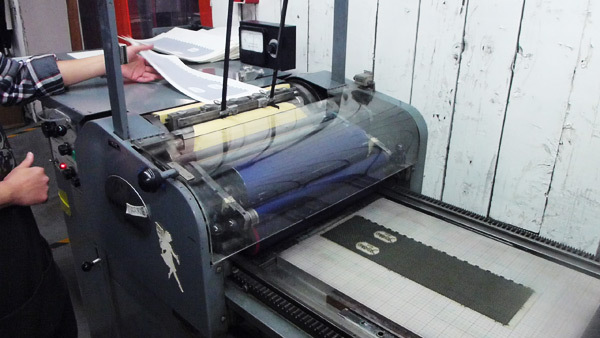 Here is a bellyband being run on our Vandercook Universal 1. 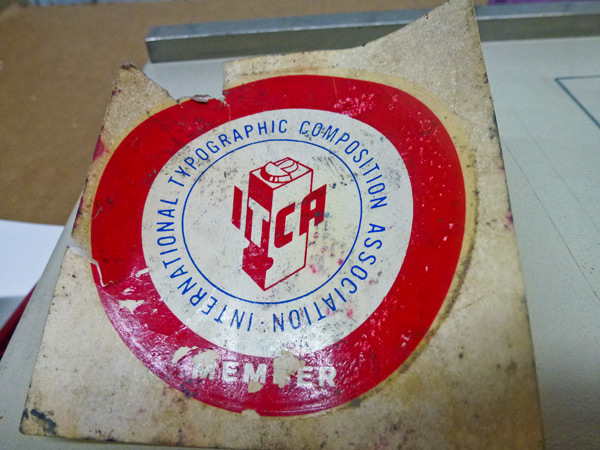 Using the tape registration method lets the grippers take the sheet forward across the inked form then the tapes hold it against the cylinder for the ride back to the operator’s waiting hand.